In just about a month, my most anticipated movie of 2013, Inside Llewyn Davis will come out. So I thought it’d be appropriate to ask what’s your favorite Coen brothers movie? Anyone who has followed my blog enough knows how much I love the Coens’ stuff, from Miller’s Crossing to A Serious Man. My favorite would be The Big Lebowski, which combines a Raymond Chandler-like premise with the Coens’ comic sensibilities. As for their best, I think it’s between that and their pitch perfect No Country For Old Men. « Dexter: Remember The Monsters? Yes I’ll agree … mine is The Big Lebowski, always finding myself re-watching that one! Also very fond of Raising Arizona and (in my opinion) underrated The Hudsucker Proxy. Thanks for the comment. Can’t go wrong with the Coens. Also, I agree The Hudsucker Proxy is underrated, I always really liked that. Raising Arizona. It’s actually one of my favorite comedies of all time. Nice pick! Raising Arizona’s a great film. Let me say before I read your choices, I saw the title in my email and the first two choices I independently thought of were The Big Lebowski and No Country For Old Men. TBL is my favorite comedy movie OF ALL TIME, and it is impossible for me to compare it with NCFOM, which I loved too. To this day, me and a friend of mine still text lines of TBL back and forth. This was the easiest comment I’ve ever written here lol!!! Nice picks and two I completely agree with. NCFOM one of the most intricate films I’ve seen and I don’t think I’ve ever laughed more during a movie than in The Big Lebowski. Has to be Fargo. One of the greatest movies of all time. Period. O’ Brother would come in second. True Grit is a pretty sensational adaptation. Barton Fink is also underappreciated. Nice picks! I’ve seen most and I love them all. Fargo’s definitely one of their best and I think Barton Fink tends to be overlooked. I’m with Mark, Raising Arizona. Fargo is a close second. Nice picks! Both great movies. Obvious pick, but Fargo. It’s just so good. Solid pick. Fargo’s great, it’d be my choice after Lebowski and NCFOM. If I had to pick I’d probably say Lebowski. So many great films though…I think the most underrated though is The Man Who Wasn’t There – a real slow burner, but an amazing film. Nice picks! Can’t disagree with Lebowski. The Man Who Wasn’t There is one of their few films I haven’t seen. Tough question. I’d go with Lebowski as well, just for its insane amount of re-watchability. Nice pick! It’s certainly the most rewatchable movie the Coens have made and I could see any of their films any day. Solid picks! Both great movies. O Brother has an amazing soundtrack. Raising AZ and Wherefore Brother…. Nice picks! It looks like those two are the most popular ones. Nice picks! Great to see some love for Barton Fink, I’ve always felt it’s been seriously neglected by most. Damn, why do I have to say The Big Lebowski? Why can’t I be different? Well, BL it is. But I have much love for Barton Fink too. Nice picks! Can’t go wrong with Lebowski and Barton Fink. Glad you agree! Both two of my favorite films. They’ve done some fantastic stuff, man, but The Big Lebowski is hands down their best. It actually my favourite movie period!! I’d say No country is a close second, followed by Miller’s Crossing. Nice picks! Knew Lebowski would be your first, and it’s my favorite by them as well. NCFOM would be second and Miller’s Crossing would probably be tied in third with Fargo for me. Thanks! I will watch anything from those directors. Now, it Llewyn Davis your most anticipated just because of the Coens? Becuase it otherwise doesn’t seem to have much going for it. I think I have to choose Fargo. Its probably their signature film, and there’s a lot of great stuff in there. I really liked the trailers, plus I do enjoy folk music, so I feel Inside Llewyn Davis is going to be great. Nice pick and good point about Fargo being their signature film. It does feature many recurring traits of the Coens’ movies: bizarre characters, dark comic relief, and a tense thrilling mood. Man, I love The Big Lebowski, but also a fan of No Country For Old Men… very good! Nice picks! 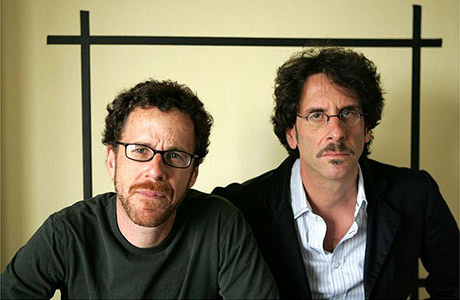 They’re the Coens’ two best in my opinion. They really are just great! I think for now it’s Miller’s Crossing though someone just recommended Raising Arizona so I have to see that soon! Ahh, tough question! Right now I would say Fargo, but O Brother, Where Art Thou? and No Country for Old Men are not far off. Nice picks! The Coens have so many great movies.